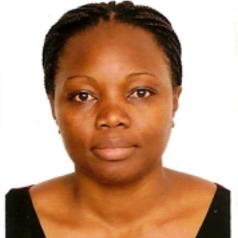 Eugenie W. H. Maïga is an Assistant Professor at the Université de Koudougou, Burkina Faso where she teaches courses in Econometrics, Agricultural Policy and Finance, Microeconomics, Farm Management and International Development. She is also currently working as a consultant for the Alliance for a Green Revolution in Africa (AGRA), in Nairobi, Kenya. She has worked as an Economist at the African Center for Economic Transformation in Accra, Ghana and as a short-term consultant for the World Bank. Her research interests include agricultural economics, education and skills development, youth employment, health economics, foreign aid, and applied econometrics. She is the first recipient of the Uma Lele Fellowship awarded by the Agricultural and Applied Economics Association Trust and supported by the Uma Lele Special Purpose Fund. This fellowship is awarded to early career scholars who are citizens of and reside in a developing country to work with distinguished mentors on cutting edge, policy-relevant research. Eugenie has published books and papers in the Journal of Public Health Dentistry, Journal of Development Effectiveness, and World Development. She holds a Masters of Science degree in Agricultural Economics from Oklahoma State University and a PhD in Applied Economics from the University of Minnesota, Twin Cities.